Hello!! I am your spokesman or spokesbird (as you can see) for this morning.. I was adopted from MARS along time ago so please know I am no longer for adoption as I have a wonderful home.. Just sayin!!! So here is my message for everyone. Did you all know that right on top of the MARS home page, located right on top of the yellow MARS letters are four small buttons that connect you to our you tube page and others??? Who would like us to put some new content there to share with all of you using those simple buttons. Please once again share your thoughts with M.A.R.S. Soooo appreciate all who do so. Thank you for reading and following our exotic bird rescue, Melbourne Avian Rescue Sanctuary. Yes I would please keep posting and providing updates on the rescue.. Want to see where thiscomment appears. What a beautiful Red headed spokesperson! Love reading these posts, made my morning to see this beautiful creature! Hi , I’m a typical snowbird and love all the birds, as soon as I can visit M.A.R.S. the happier I feel! 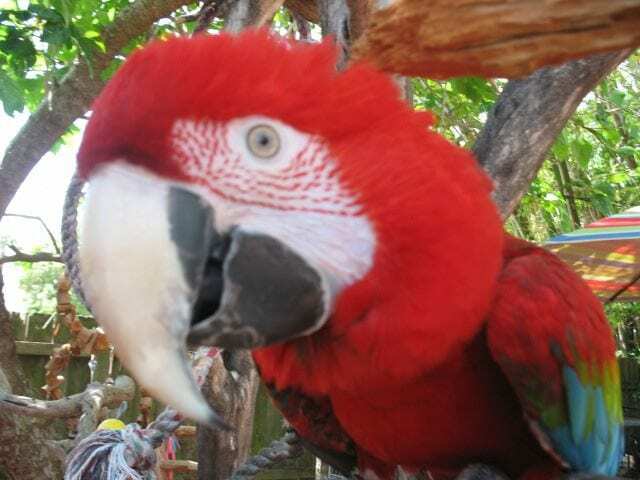 There is so much to enjoy , the antics and sounds of gorgeous colorful parrots are amazing. Lu their fearless leader is amazing too! Love and so much caring there, it’s a wonderful place ! Dot our favorite Artist in the world you are one of a kind my friend… Thank you for such kind words. The age does not matter , but preferred adult. If it talks that will be great !!! …. but we are willing to teach it how to give kisses and to sing, ect ..ect… please help us find our baby and bring it home. Replied via Facebook or email not sure which but I will keep your name for future…..